Energy management systems are used to monitor building temperature inside and outside buildings and control the boilers and coolers. Energy efficiency is a major cost issue for commerce and industry and of growing importance on university syllabuses. Fully revised and updated, this text considers new developments in the control of low energy and HVAC systems and contains two new chapters. 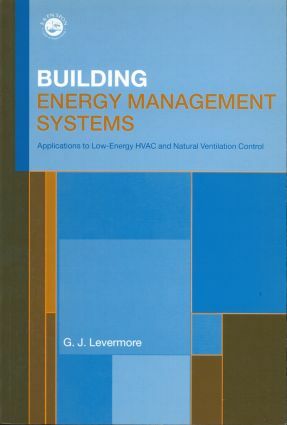 Written for practising engineers (essential for control engineers) and energy managers in addition to being essential reading for under/postgraduate courses in building services and environmental engineering.